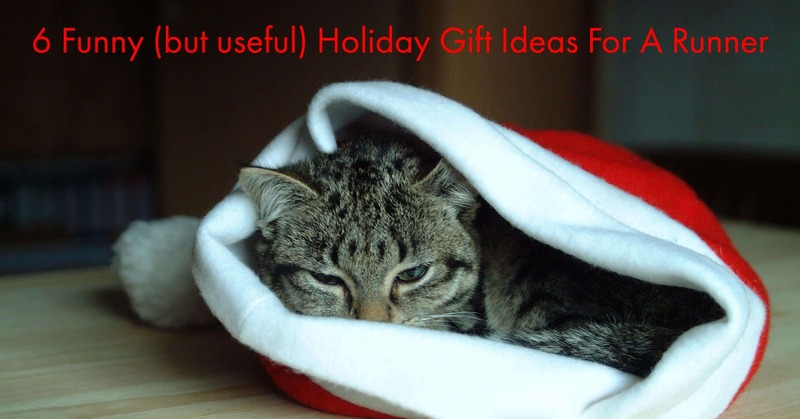 Aside from the common gift ideas of new shoes, ip﻿hone/android﻿ arm bands, ﻿it band compression straps, blue tooth ear ﻿buds, or good ole' fashion socks, here are six funny (but useful) gift ideas for a runner on your holiday shopping list. Oh yeah. These are outstanding. 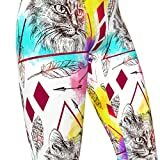 Nothing like cat themed running pants. Why where the boring old single color capri running pants when you could stand out with these or these space cats. If cats are not your thing, there are some very impressive Disney ﻿jogging pants available. CATS! Exclusive spring pattern, cat pattern print makes a perfect gift for cat lovers, cat ladies, and feline enthusiasts. From 80's to Superhero runs, more and more races each year are becoming themed where a tutu﻿ is not just an accessory but a necessity. Coming in different colors, you are all set for just about any themed race for the upcoming year. 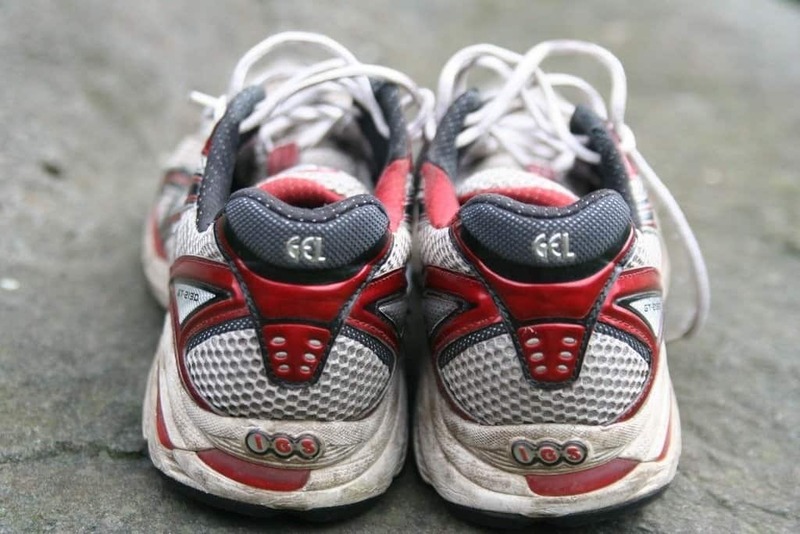 ADD SOME FUN TO YOUR RUN! Our White Tutu is perfect for any runner who wants to add style and fun to their next run. Our running tutus are a great accessory for themed races, color runs, 5K, 10K, half marathons, full marathons, and so much more! Whether you're dressing up with friends for a themed race or need an extra accessory for a costume or to cheer on your favorite sports team, our tutus are the perfect additional accent to any outfit! MAKE A STATEMENT! Stand out from the crowd with our colorful and fun women's athletic tutus! Choose from our wide variety of colors and designs, perfect for running costumes, color runs, princess outfits, and so much more! Be sure to check out our holiday themed tutu designs for Halloween, St Patrick's Day, 4th of July, Christmas, Thanksgiving and more on our store page! LIGHTWEIGHT AND DURABLE! 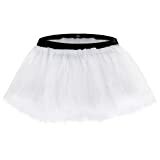 Made of a 3-layer tulle and measuring approximately 11" in length, our tutus are designed with a comfortable elastic waistband, which stretches approximately 23" to 39" in width. Not only are our tutus lightweight, durable, and comfortable, but they are easy to run in for all your races! Be sure to finish any race or marathon strong and in style while sporting our colorful tutus! We recommend wearing spandex, shorts, or leggings under our tutus for full coverage. Wouldn't be nice to have a personal masseuse waiting for you it band and foot after a long run? Well if you can afford to have a someone from the day spa waiting for you the next best thing is the Ultimate Massage bundle.The Ultimate Massage bundle comes with two foam rollers and two massage balls for your feet. Throw in the FREE Travel bag and you got your ﻿very own﻿ personal masseuse. #Winning. ULTIMATE Massage Bundle of 5 - Two - 13" Massage Foam Roller, 18.9" Massage Stick, 9cm Spiky Massage Ball, 6.5cm Foot Massage Ball. Includes FREE Travel Bag! 【BENEFITS & FEATURES】- The Holistic Athletics Chimera Foam Roller is for anyone who wants to become HEALTHIER and move more EFFICIENTLY. Use the Holistic Athletics Chimera Foam Roller to loosen up tight muscles, knots and kinks to IMPROVE MOBILITY and REDUCE SORENESS. Studies show that using a foam roller can provide users with benefits such as improved range-of-motion, decreased muscle and joint pain, increased circulation and flexibility, better balance and improved gait. 【PREMIUM QUALITY】- Designed to withstand constant, heavy, and repeated use without breaking down unlike traditional foam rollers. Holistic Athletics foam rollers feature a unique, 3-D surface made to emulate the feeling of a massage therapist's hands. This 3-D surface massages the muscles while simultaneously allowing oxygen and blood to continue to flow, which aids the healing of tissue! The reviews on amazon for the Knuckle Lights are very funny. 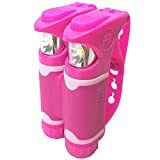 These lights are almost bright enough to light up a entire street while simultaneously providing a runner with a solid weapon to knock any potential threats to the ground. All kidding aside, these knuckle lights are highly recommended and are extremely light weight. Anyone who has ever run more than a handful of races knows that it's "all about the bling". A beautiful way to display those glorious medals is on a Running Medal Display. Most of the displays can hold 16-20 medals some of which can hold many more. The medals slide right into the slots and are proudly displayed. This makes for a very memorable way to display medals and when friends come over and visit they serve as a motivator. Let's get the medals out of the drawer or from the top of the dresser and display them proudly. THE PERFECT DESIGN! Unique Hang Bar Design allows you to space your medals according to how many you have and NOT confined to a certain number of hooks! 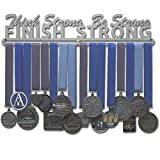 Display your stunning accomplishments with pride using this beautiful Allied Medal Hanger! EASY INSTALLATION! All mounting hardware and simple installation instructions are included with your order, including 1/4" spacers which provide the perfect offset from your wall. For ease of use and stunning visual appeal! HIGHEST QUALITY! Allied Medal Hangers are cut from the best quality brushed stainless steel using an extremely precise high-powered laser which allows us to achieve stunning details in our designs. Ok maybe not funny but it is useful. The fastest way to get fired up to run is a little motivation everyday. This 2017 desktop calendar features Over 300 original illustrated inspirational quotes and tips. Size Closed: 6.125" x 9.25"
Size Open: 12.25" x 9.25"
So there you have it. We hope you find these ideas a little different than the usual and they bring a smile to the runner on your list.